You can enjoy, to the full, the bounty of the mountains across all four seasons. and, in the summer, sweetfish caught in the beautiful rivers. and, in winter, there is the boar stew that is only available in this area. We prepare food ingredients for all four seasons. 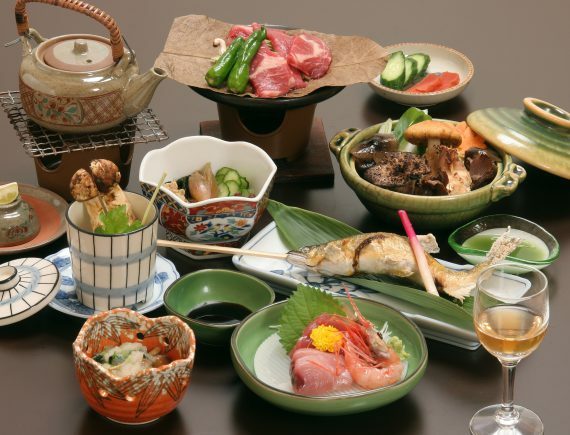 are combined skillfully together to present the highest class local cuisine in Hida-Takyama. Be sure to enjoy dishes making abundant use of “natural mushrooms” picked locally. * The actual food may differ from the image in the photograph depending on the time or the season. 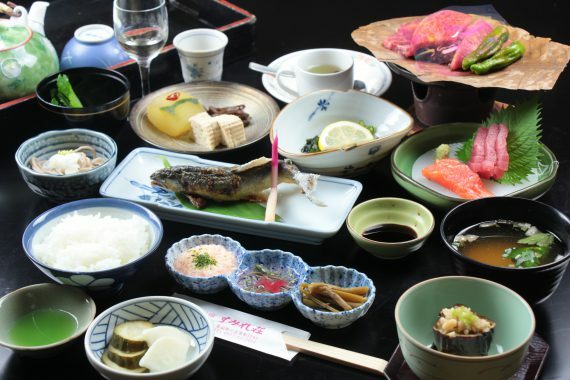 In the fall, we provide matsutake tsukushi dishes just for this season with an abundance of matsutake mushrooms picked from a nearby mountain. 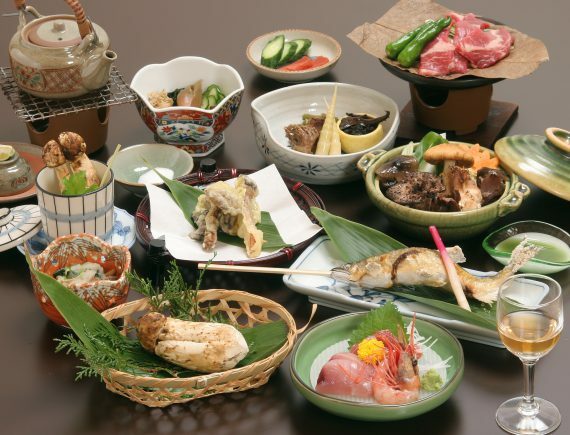 “Matsutake” and “mushroom” tempura:1,500 yen per person can be additionally ordered. 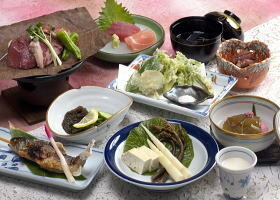 ※The actual food may differ from the image in the photograph depending on the time or the season. 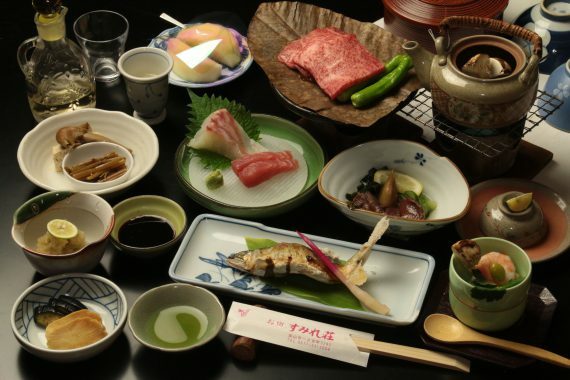 The seasonal tastes of fall are sweetfish, mushrooms and vegetables. 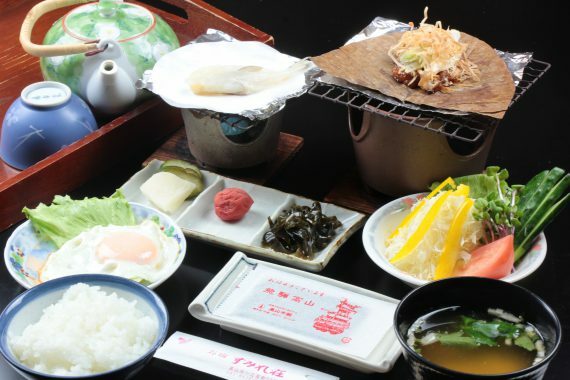 We hope you can enoy the taste of Hida, with the mushrooms picked at the Lodging, while gazing up at the sky and enjoying fall in the mountain village. Opening the window, there is a silent coldness. 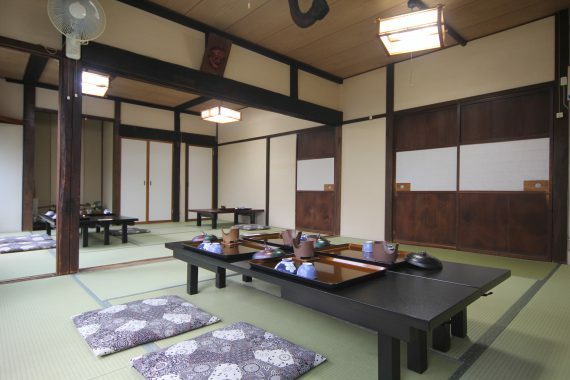 Make sure you experience Hida in the winter. 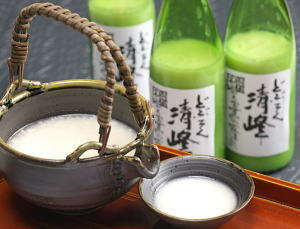 In spring, we use precious mountain herbs, such as alpine leeks and dogtooth violet in our dishes. Please enjoy our sweetfish baked with salt, Hida beef and home-grown summer vegetables, which are our most popular summer dishes. For stay-only customers, please inquire when you check in. 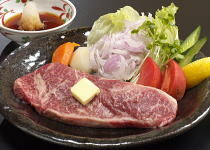 Sukiyaki uses 100g of top-class Hida beef. The content changes depending on the period. 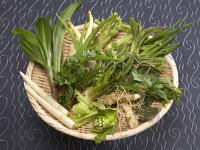 * The image is of some of the mountain herbs used in the tempura. * The content shall differ depending on the period. Please do not hesitate to make inquiries.